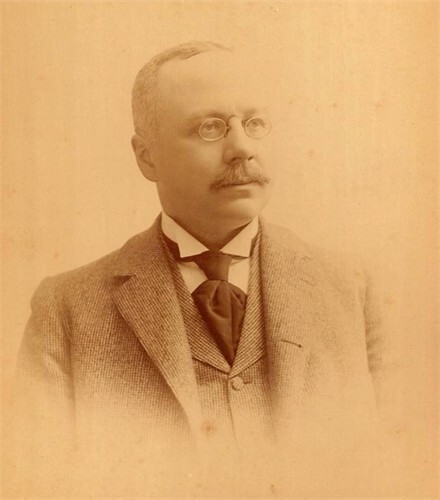 Herman Clark Mechling was born in 1855 in Pennsylvania, the son of William H. Mechling and Emmeline Clark. 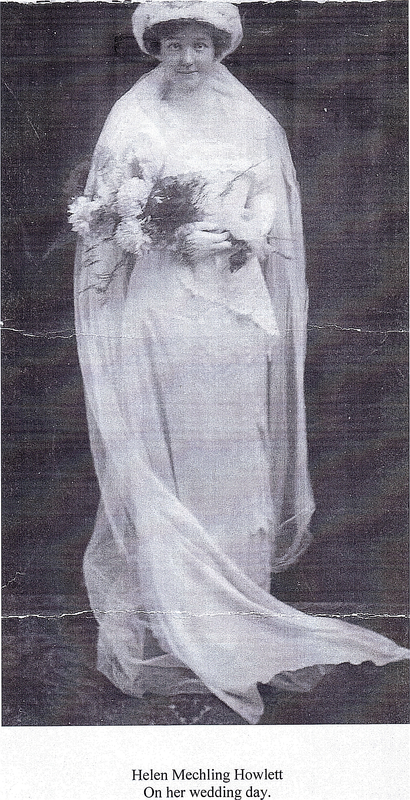 Herman married Helen Evans. Helen and Herman’s daughter was Helen and she married Henry James Howlett Jr. Below, Helen Mechling on her wedding day to Henry James Howlett Jr., right, with their son Herman Mechling Howlett. 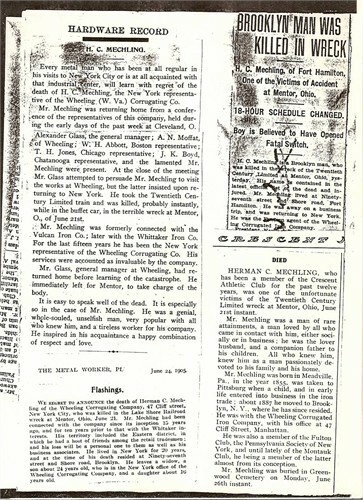 Herman Clark was a “metal man”, first with the Vulcan Iron Company, the Whittaker Iron Company and then The Wheeling Corrugating Company.In 1906 he had been with the Wheeling Company for fifteen years. On June 21, 1906 Herman Clark was on his way home from a meeting in Cleveland Ohio. Friends and co-workers invited him to go to Wheeling W. VA to see the plant, but he declined and headed home to New York aboard the Twentieth Century Limited. This was this train’s fourth run. In the Most Horrible Railroad Disaster in History of Lake Shore Road — Twentieth Century Flyer Wrecked Last Night. CLEVELAND, June 22. — White traveling at a rate of seventy miles an hour the famous Twentieth Century Limited, the fastest long distance train in the world, ran into an open switch at the little town of Mentor, east of Cleveland, at 9:20 last night, causing one of the most horrible accidents in the history of the Lake Shore road. Nineteen persons are dead as a result of the wreck. The engine was hurled into the ditch, part of the train was crushed on top of it, and the wreck partly burned. The train was crowded; practically all of its accommodations were taken when it left this city. It was behind time and great speed was being made to make up the time. A particularly distressing feature of the rescue work was that the injured were so crazed when they were taken from under the mass of wreckage that they could not even reveal their own identity. Traveling at the rate of more than a mile a minute the heavy train was hurled to its doom with a momentum that was appalling. The scene of the accident was at the Mentor depot. The switch that caused the trouble is located about 130 yards west of the depot. 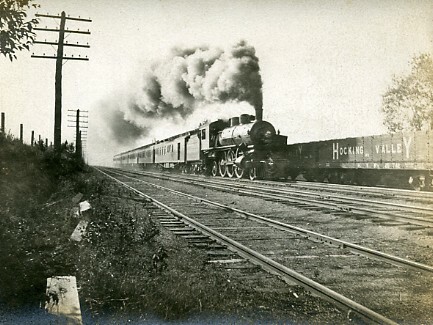 As the heavy engine struck the switch if left the main track and swung violently to the left. For a distance of twenty yards the engine ran on the rails, and then turned over on its side just to east of the depot. The momentum was such that the heavy tender was hurled over the engine and buried in the depot. The combination car was hurled with terrific violence on top of the engine, and in a moment was enveloped in flames. The Chicago sleeper, immediately behind, crushed into the depot and was completely buried in the wreck of the building. The next sleeper following left the track, but the rest remained upright on the tracks. An instant after the crash of the wreck the boiler of the great engine exploded with terrific force, scattering fire and steam through the wreck in a manner that made escape for the helpless and imprisoned passengers impossible. The passengers and train men who were not injured started to rescue the imprisoned, but the heat of the fire soon drove them away. 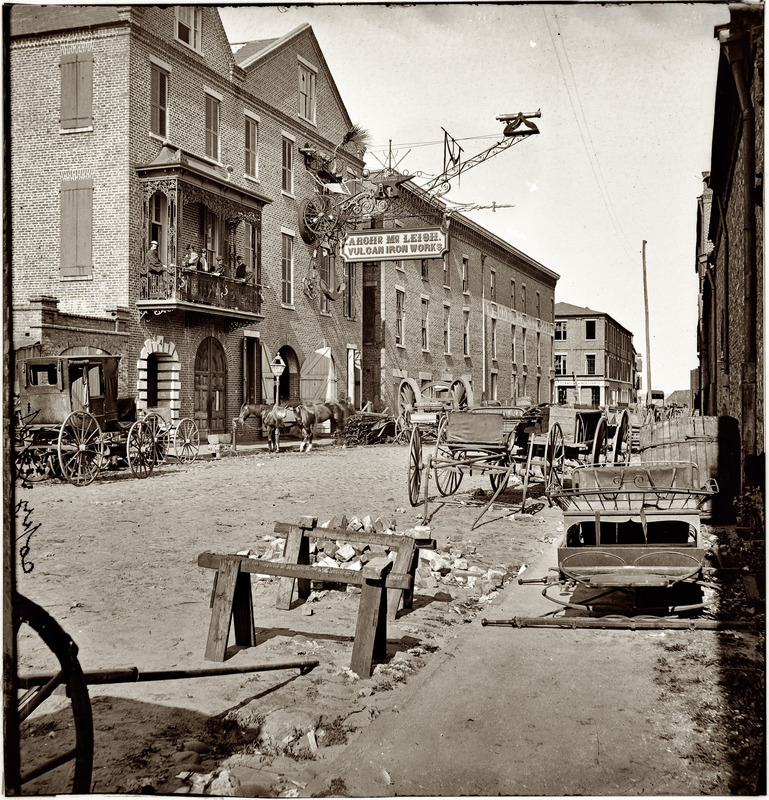 The fire department was called to the rescue, but it was after midnight before the flames were subdued and the work of taking out the dead and injured began. 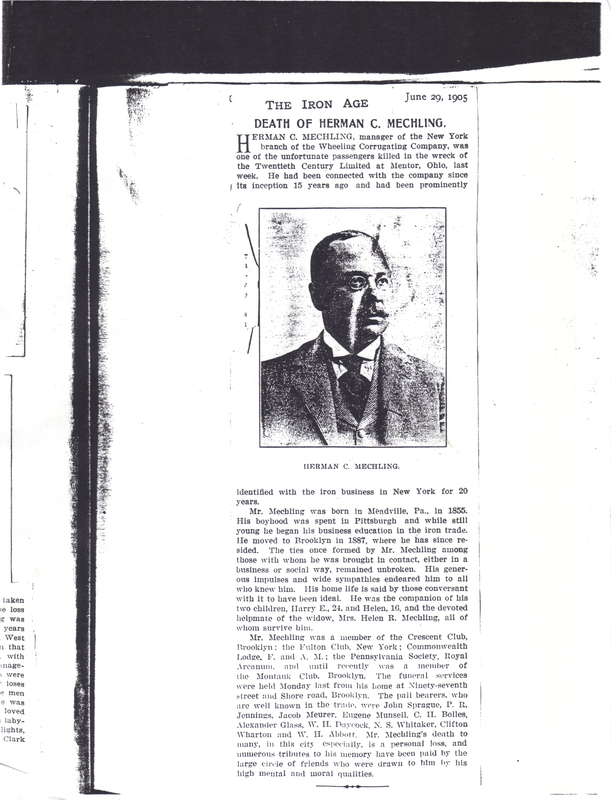 C. H. WELMAN, general manager of the WELMAN-SEAVER-MORGAN Engineering company of this city. THOMAS R. MORGAN, of the same company. A. P. HEAD, London, England, prominent English steel man. JOHN R. BENNETT, patent attorney, New York City. A. L. RODGERS, Platt Iron Company, New York City, died at hospital. H. H. WRIGHT, traveling man Chicago, died at hospital. WM. B. MICKEY, address unknown. F. J. BRANDT, Toledo, died at hospital. F. H. BREKWITH, New York City, advertising agent, died at hospital. J. H. GIBSON, Chicago, traveling man. E. B. WALTERS, Hamburg, New York, baggage master. J. A. BRIDGLY, Akron, died at hospital. HENRY TRINZ, New York City, barber on buffet car. 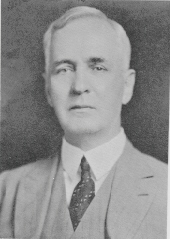 H. C. MECKLIN, manager Wheeling Corrugating Company, New York. L. M. ELRICK, manager, Keiths Theatre, Cleveland. Seven unidentified dead, one of whom is supposed to be ARTHUR L. JOHNSON, of Comey & Johnson, Cleveland. Five were seriously injured and a number slightly. CHICAGO, June 22. — Vice President W. C. BROWN of the New York Central telegraphed today to President NEWMAN at New York, an official report of the wreck. In it he states that train No. 10 east bound passed Mentor at 8:35 p. m., at which time the switches were all set for the main track. No. 26 followed fifty minutes later and no trains had passed Mentor in either direction during the interval. The conductor of No. 26 examined the switch immediately after the accident and called the attention of General Passenger Agent W. J. LYNCH, of the Big Four, who was on the train, to the fact that it was set and locked for the sidetrack and the lights extinguished. The switch is not damaged and worked perfectly after the accident. The composite car which was telescoped by the engine was burned. No other cars in No. 26’s train turned over. Number 26 was on time and as a matter of fact was running slower than No. 10 when it passed through Mentor, as the latter was late. 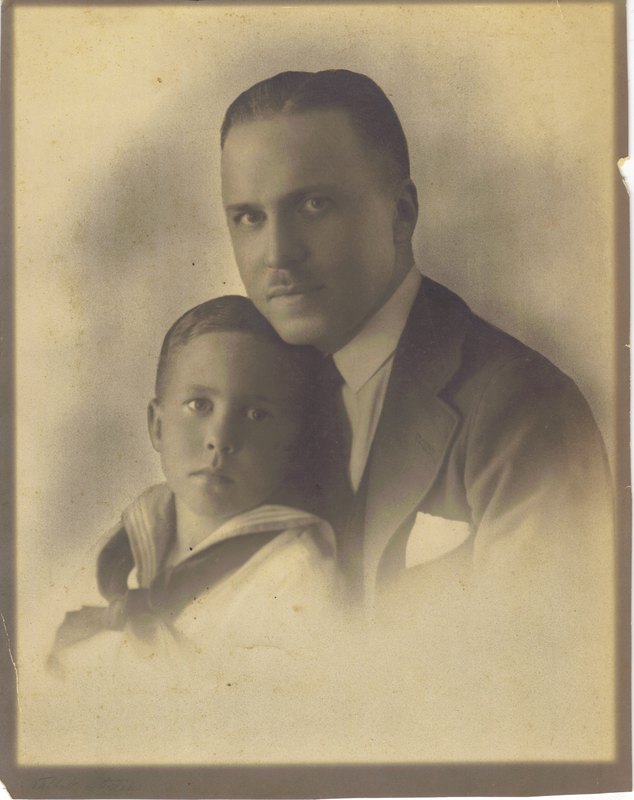 Alexander Glass, below, president of Wheeling Corrugating brought Herman Clark Mechling home.